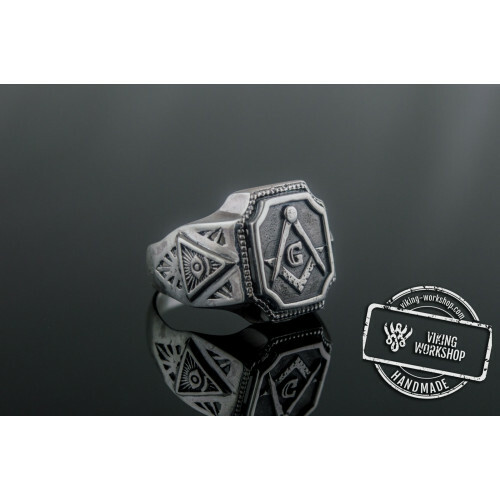 Masonic Symbol Ring Sterling Silver Handcrafted Unique JewelryUnique handmade ringMade-to-order (you'll get the ring which is made individually with your size)Branded boxWorldwide shipping + Tracking numberCareful packagingMetal: 925 silver, sterling..
Ring with Masonic Symbol Ruthenium Plated Sterling Silver Black Limited Edition JewelryUnique handmade ringMade-to-order (you'll get the ring which is made individually with your size)Branded boxWorldwide shipping + Tracking numberCareful packagingMe..
Ring with Masonic Symbol Sterling Silver Handcrafted JewelryUnique handmade ringMade-to-order (you'll get the ring which is made individually with your size)Branded boxWorldwide shipping + Tracking numberCareful packagingMetal: 925 silver, sterling s..
Spartan Helmet Ring Sterling Silver Handcrafted JewelryUnique handmade ringMade-to-order (you'll get the ring which is made individually with your size)Branded boxWorldwide shipping + Tracking numberCareful packagingMetal: 925 silver, sterling silver..
Spartan Helmet Ring Sterling Silver Unique Handmade JewelryUnique handmade ringMade-to-order (you'll get the ring which is made individually with your size)Branded boxWorldwide shipping + Tracking numberCareful packagingMetal: 925 silver, sterling si..
Viking Helmet Ring Sterling Silver Unique Handmade JewelryUnique handmade ringMade-to-order (you'll get the ring which is made individually with your size)Branded boxWorldwide shipping + Tracking numberCareful packagingMetal: 925 silver, sterling sil..
Viking Helmet with Ornament Sterling Silver Unique RingUnique handmade ringMade-to-order (you'll get the ring which is made individually with your size)Branded boxWorldwide shipping + Tracking numberCareful packagingMetal: 925 silver, sterling silver..
Bearded Skull with Helmet is a symbol of courage in the face of deathThe skull itself is one of the most popular artistic subjects. Since ancient times, it has represented death. 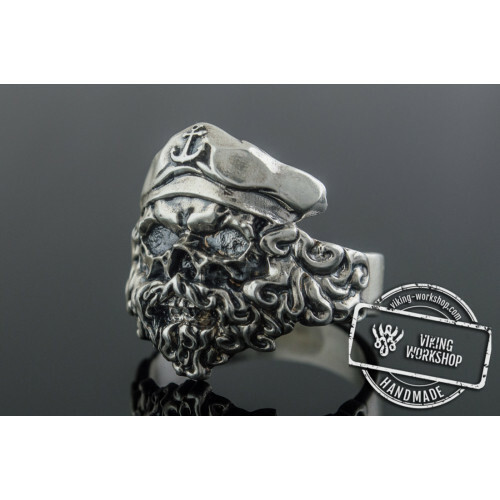 However, the fearless Vikings have interpreted this image in their own ..
Gold Skull Ring with Ornament Unique Biker JewelryUnique handmade ringMade-to-order (you'll get the ring which is made individually with your size)Branded boxWorldwide shipping + Tracking numberCareful packagingMetal: 14K or 18K Gold (Yellow or White..
Pirate Skull with Anchor Symbol Sterling Silver Unique Ring Biker JewelryUnique handmade ringMade-to-order (you'll get the ring which is made individually with your size)Branded boxWorldwide shipping + Tracking numberCareful packagingMetal: 925 silve..
Skull Ring with Ornament Sterling Silver Ruthenium Plated Unique Biker JewelryUnique handmade ringMade-to-order (you'll get the ring which is made individually with your size)Branded boxWorldwide shipping + Tracking numberCareful packagingMetal: 925 ..
Skull Ring with Ornament Sterling Silver Unique Biker JewelryUnique handmade ringMade-to-order (you'll get the ring which is made individually with your size)Branded boxWorldwide shipping + Tracking numberCareful packagingMetal: 925 silver, sterling ..
Skull with Helmet Sterling Silver – an exclusive item from the craftsmen of viking-workshopThe skull symbol has long been a personification of death, and the sign of fearlessness in front of his face. 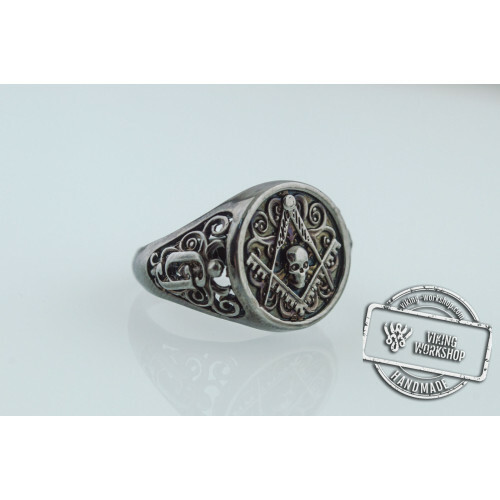 In jewelry the skull symbol is strongly associate.. 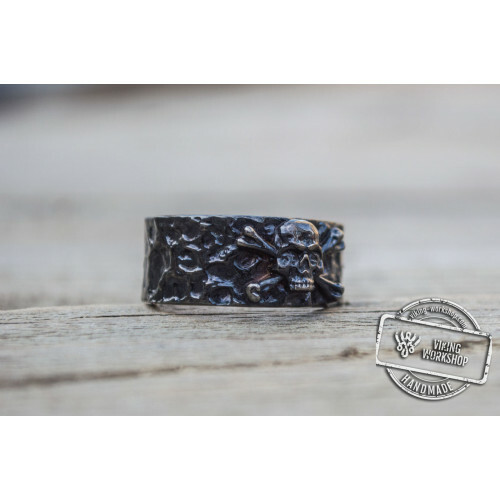 Unique Skull Ring Sterling Silver Handmade JewelryUnique handmade ringMade-to-order (you'll get the ring which is made individually with your size)Branded boxWorldwide shipping + Tracking numberCareful packagingMetal: 925 silver, sterling silverWeigh..
Berserker Ring with Bear Sterling Silver Handcrafted Jewelry Unique handmade ring Made-to-order (you'll get the ring which is made individually with your size) Branded box Worldwide shipping + Tracking number Careful packaging Metal: ..
Masonic Ring Sterling Silver Handcrafted Jewelry Unique handmade ring Made-to-order (you'll get the ring which is made individually with your size) Branded box Worldwide shipping + Tracking number Careful packaging Metal: 925 silver, ..
Masonic Ring with Black Cubic Zirconia Sterling Silver Handcrafted Jewelry Unique handmade ring Made-to-order (you'll get the ring which is made individually with your size) Branded box Worldwide shipping + Tracking number Careful packaging ..
Masonic Ring with Blue Cubic Zirconia Sterling Silver Handcrafted Jewelry Unique handmade ring Made-to-order (you'll get the ring which is made individually with your size) Branded box Worldwide shipping + Tracking number Careful packaging ..
Masonic Ring with Red Cubic Zirconia Sterling Silver Handcrafted Jewelry Unique handmade ring Made-to-order (you'll get the ring which is made individually with your size) Branded box Worldwide shipping + Tracking number Careful packaging ..
Norse Ornament Ring Sterling Silver Handcrafted Jewelry Unique handmade ring Made-to-order (you'll get the ring which is made individually with your size) Branded box Worldwide shipping + Tracking number Careful packaging Metal: 925 s..
Norse Ornament Ring with Cubic Zirconia Sterling Silver Handmade Jewelry Unique handmade ring Made-to-order (you'll get the ring which is made individually with your size) Branded box Worldwide shipping + Tracking number Careful packaging ..
Ring with Jolly Roger Symbol Sterling Silver Ruthenium Plated Unique Jewelry Unique handmade ring Made-to-order (you'll get the ring which is made individually with your size) Branded box Worldwide shipping + Tracking number Careful packag..
Ring with Jolly Roger Symbol Sterling Silver Unique Jewelry Unique handmade ring Made-to-order (you'll get the ring which is made individually with your size) Branded box Worldwide shipping + Tracking number Careful packaging Metal:..
Ring with Skull Sterling Silver Handcrafted Jewelry Unique handmade ring Made-to-order (you'll get the ring which is made individually with your size) Branded box Worldwide shipping + Tracking number Careful packaging Metal: 925 silve..
Ship Steering Wheell with Anchor Symbols Sterling Silver Jewelry Unique handmade ring Made-to-order (you'll get the ring which is made individually with your size) Branded box Worldwide shipping + Tracking number Careful packaging Met.. 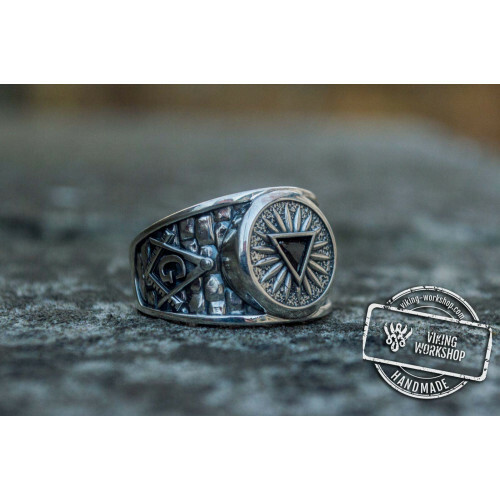 Bikers and silver biker rings (more commonly known as signet rings) are simply inseparable. 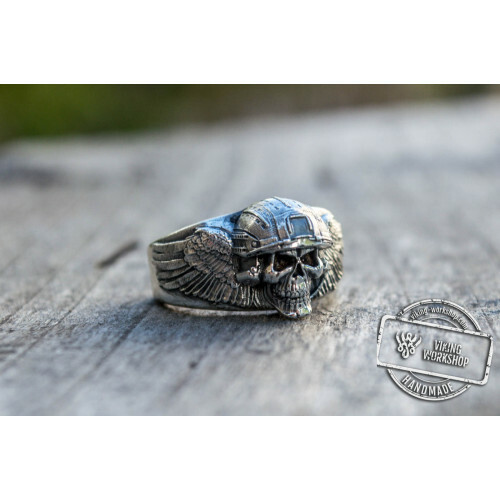 Probably everyone, when thinking of a biker, would picture a motorcycle, a bearded man and a huge signet ring with a skull, a wolf, a raven, or any other character. 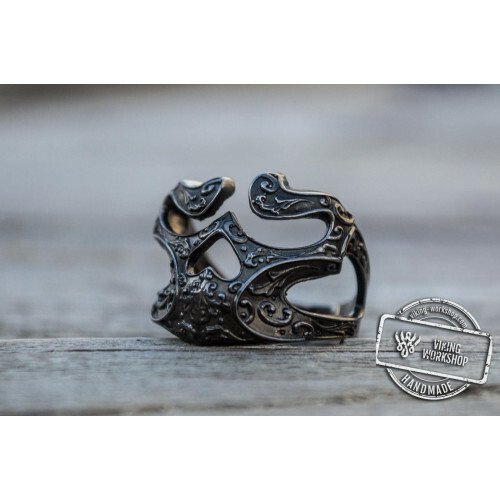 This is exactly the type of sterling silver motorcycle rings you can order at our online shop. 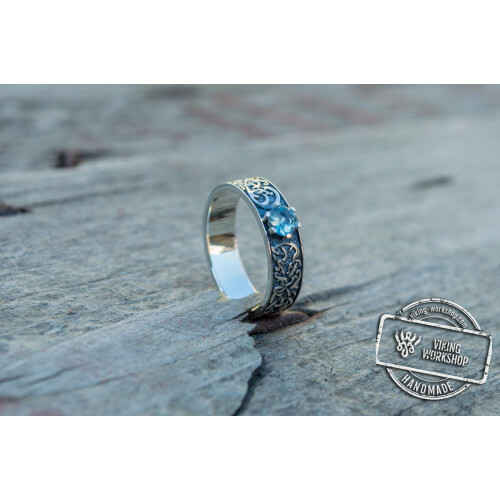 Why is it a good idea to order silver biker jewelry from us? Firstly, each piece is crafted by the artisans according to the exclusive drawings which are also made in our company. 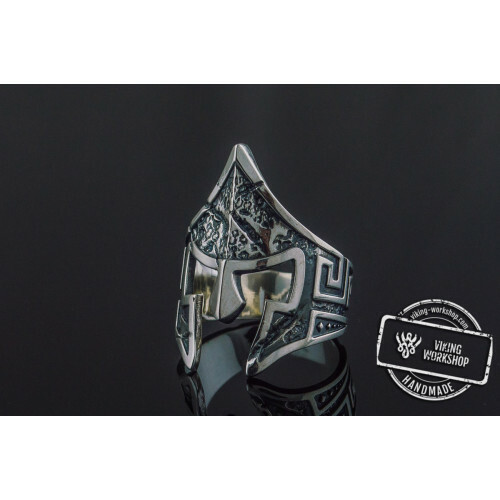 This approach to making biker rings ensures the quality and the uniqueness of the piece. Secondly, we offer our clients convenient delivery to any place in the US and Canada. 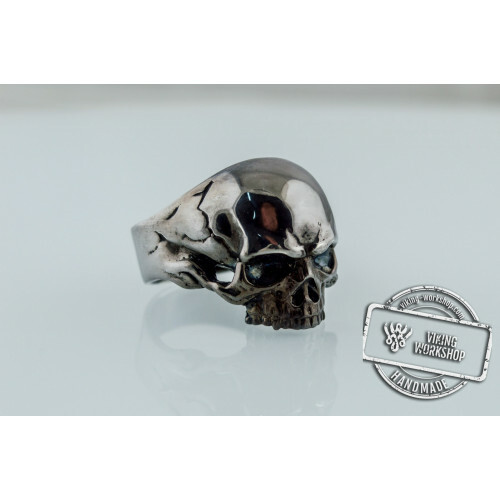 The 925 silver biker rings are delivered within the shortest possible time, and the product comes in its original box. 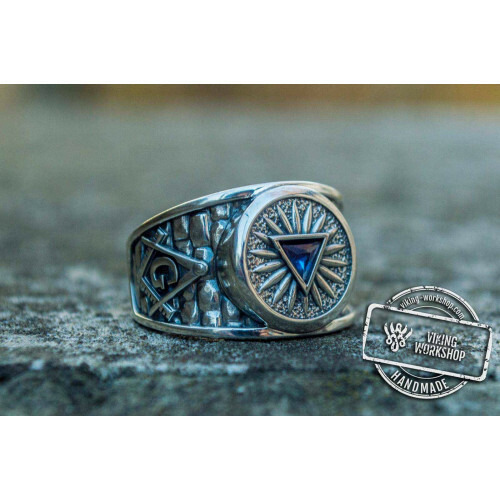 Thirdly, for a small additional fee, you can contact our artisans and order exclusive bikers rings featuring your own initials. 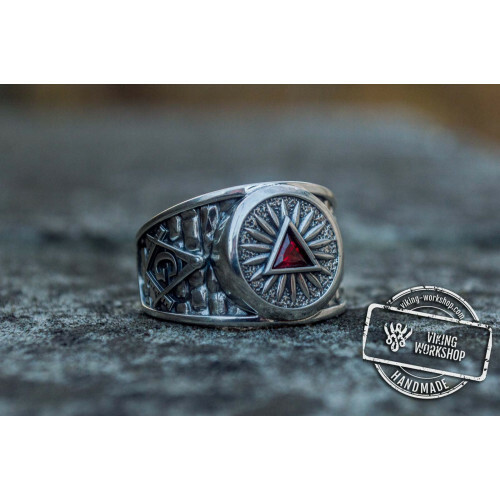 To wear bikers rings, you don't have to possess an iron ring and ride off every morning in search of adventures. It's enough to share the spirit of biking, love freedom and independence. 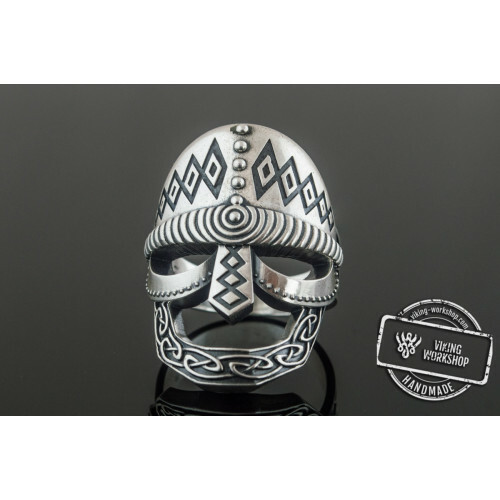 Silver biker rings are sported bysuch creative personalities as musicians and street artists, as well as your regular coders, loggers, steel workers and builders.